I skipped a blog post in December to enjoy some downtime with my friends and family over the holidays (bet you didn’t even notice, did you?) — it was the first time I’d ever published less than 8 blog posts per month since starting JustineCelina almost 3 years ago. Guess what? The world didn’t end. My traffic and page views where completely unaffected. And it was truly ridiculous of me to think that anything terrible would happen as a result of a skipped blog post. But as bloggers and content creators, we place totally unrealistic expectations on ourselves to pump out content on a set schedule content like robots. I spent January really doing some soul searching about what I want my life to look like this year. The holidays were truly the first time since March, 2015 that I took a step back to look at the bigger picture without constantly creating and sharing content — and it was liberating. Now that I’ve made some decisions, set some goals and intentions and actually started implementing them into my life, I thought my 300th blog post was just as good a time as any to share them. And friends — this is a long one. So here goes! Blogging is a lot of fun, but it’s so much work. Like, more hours than a full time job kind of work. Producing the type of content I produce takes more work that I could have ever imagined or expected. And all the other bloggers who’s work I admire and I chat with on a regular basis say exactly the same thing. But here’s the problem — as human beings, we’re simply not designed to go, go, go all the time. If you work 80 hour weeks for long enough, you’ll burn out. Simple as that. Trust me, I’ve been there. And I’ve been very honest about it. But still, we all do it. Why? And how sustainable is that? I’m at the point here at JustineCelina where I’m sick of doing things just because I’ve been doing them. So guess what? This year, I’m not going to. Maybe it’s the 3 year itch as I approach my third Blogiversary… but in 2018, things are changing. Don’t worry — I’m not going to burn this all down. But I am making some changes and have a lot I want to get through in this post — so please bear with me! I don’t want to do more — and I don’t have time to. I don’t want to launch a Business of Blogging series and an online store. I don’t want to spend even more time behind the computer screen getting them up and running and maintaining them (or hiring and managing a team to maintain them) — and less time enjoying my real life. I have already have more than enough on my plate. In fact, I want to enjoy the process of doing less — and doing the things I love very well. Despite how many people have told me that I should do something or that it would be a great idea, if it’s truly not something I don’t want to do, I’m not going to do it. Simple as that. In 2017, I set out to accomplish a lot. Way too much, in fact. As someone who’s always been an overachiever and a perfectionist by nature, I’m used to setting lofty goals and pushing myself to meet them. And most times, I usually do. It’s that drive that got me to where I am today. But in 2017 I came to a hard realization — in order to maintain some level of balance in my life, I actually can’t do anymore without help. After a few very frustrating months in 2017 trying to renovate and refresh our home, launch an online store, maintain my 8 blog posts per month, client work, my personal relationships and my physical and mental health, and feeling like nothing was working, I knew something had to change. And you know what? It was my mindset. I pushed myself too hard in 2017. And guess what? The universe pushed back. I almost cut the tip of my index finger off in March while I was recipe testing. I wound up in the ER with nerve damage and 5 stitches. Let me tell you, there’s nothing like a severe injury to throw a wrench in all your plans! Looking back now, it was actually a blessing in disguise — it physically (and mentally) forced me to slow down. Although my finger has fully healed it’s still a bit numb — and it serves as a constant reminder for me to take care of myself. Behind the scenes last year, I had a lot going on as well. I dealt with a lot of curve balls, personally and professionally. Projects got delayed. Huge contracts got cancelled as the Alberta economy continues to recover. Furniture got back ordered. I faced some challenging situations in my personal life that shook me to the core. A lot of important relationships in my life were tested, including my relationship with myself. I solidified some exciting brand partnerships for JustineCelina — and I also watched a couple fizzle out. But guess what? That’s life! In 2017, I learned life simply does not happen on a perfectly set schedule, no matter how much you try to plan. In fact, life laughs in your face. But despite all these curve balls, highs and lows, and setbacks and successes, I did however, manage to accomplish my overarching goal to cultivate more balance in my life. Ironically, it was by realizing that I put way too much on my plate and that there was no possible way I could maintain my newfound happiness and some semblance of balance in my life and all the things I set out to do in just one year. In fact, when I go back and reread my New Year, New Goals post from last January, I wonder how I ever thought it was possible to accomplish all those things and actually enjoy my life. In 2017 accomplished a lot, but definitely not everything I set out to. But instead of looking back on that as a failure, I’m looking at it as feedback. I think it’s so true that people overestimate what they can achieve in a year but underestimate what they can achieve in a decade. If I’m being completely honest, setting huge goals and sacrificing pretty much everything else in my life to achieve them was the way I’ve lived the last 10 years of my life. But it’s come at a cost. It sounds like a pretty exhausting way to live, doesn’t it? If you’re never been an entrepreneur, you probably think being your own boss is an amazing, glamorous lifestyle and that entrepreneurs are living the dream. And I’m sure some of them are. But I’ve always been extremely transparent about the overwhelming amount of work and sacrifice that goes on behind the scenes. I read something earlier this month that really resonated with me, and it was “What’s the point of being your own boss if you’re the worst boss you’ve ever had?”. It hit me like a ton of bricks. As someone who’s been an entrepreneur for my entire career, I’m used to wearing a lot of hats. But, I also know my strengths and weaknesses. I have a network of colleagues that I work with to produce client work, and if I want to venture out into ecommerce and building online courses and resources for the blog, I’m going to need help with this side of things, too. While I’m not quite ready to take that step, or even sure if that’s an avenue I want to still go down, what I do know is that I won’t be working toward these larger goals of mine alone. All it does is leave me frustrated, exhausted and uninspired. Instead, what I discovered in 2017 was that I love to teach, take on public speaking engagements and share my ideas and knowledge in person — not from behind a screen. I was presented with a couple of wonderful, completely unexpected opportunities to do just that last year and I loved every minute of it. I’m not saying 2017 wasn’t a great year. In fact, looking back it was pretty fantastic. I worked with a handful of my favourite brands — including Sephora, HomeSense, Sabra, Vitamix, Smartfood, Samsonite, Inspired Greens, Almond Breeze and a few others. I had more content features and higher traffic than ever. I was selected to audition for a cooking show on Gusto (I didn’t get it, but the exercise of producing a my first video on my iPhone with 2 days notice, an injured finger and absolutely no idea how to use editing software was a valuable one!). I signed with new ad and affiliate networks and strengthened my passive revenue streams. I upgraded my photography set up, which allowed me to produce better quality, more interesting and varied creative work — both for JustineCelina and for clients. We started a massive Space Refresh project — and along the way I learned that things take much longer than I would have ever thought possible, so I decided to chill out and enjoy the process. I also signed some of my favourite brands to come along for the ride in 2018! But it was the year I also truly learned my limitations — and it was a very hard lesson. Here’s the thing — it’s great to have plans and goals. But it’s not so great to put the bliders on and barrel towards them with tunnel vision, stopping at nothing to achieve them. That kind of mindset and those actions no longer serve me. This year, I’m planning to finish the things I started in 2017 that I still want to accomplish — just on a more realistic timeline and with more grace. That said, I also have lots of new goals. In the past, most of my goals and intentions for the new year have been professionally related. In 2018, they’re simpler and more personal. I’m sick of setting the bar so high I’m essentially setting myself up to fail unless I push myself as hard as I possibly can to achieve my goals. It’s a miserable existence. This year, I’m changing up my mindset — in fact, I’ve already started. And for once, I’m not setting 5 concrete goals for myself this year like I’ve done every other year since starting JustineCelina. I honestly feel that over the past couple of months I’ve completely changed my mindset about life (I’ll be sharing some resources that have helped me do this soon! ), setting goals and working towards them. So instead, today I’m going to tell you what I want 2018 to look and feel like, instead of the long list of things I want to accomplish. In 2018, there will be less pushing and more openness. Less thought, more action. More instinct. Less consuming, more creating. Less perfection, less pressure, less sacrifice. More grace. Less time in front of a screen, more time in the moment. Spontaneity. More adventures, more creativity, more love, more fun, more laughter, more travel. I want to find new ways of doing things, I want to read, I want to learn, I want to explore. I want to continue to refresh our space. I want to get in the best shape of my life mentally and physically. I want to do more of what makes me happy — truly happy — and less of what doesn’t. I want to enlist help with things I don’t like doing, don’t have time to do or aren’t good at doing, but need to get done. I want to take a real vacation. I want to create space to simply let life happen. I’m going to ease up and trust the universe a little bit more. And I’m going to take things one day at a time. Looking into 2018, I feel like it’s time for something new. I’ve had a lot of success sticking to a very diligent schedule over these past almost 3 years. But last year, I felt like I hit a bit of a wall. I maxed out my time and resources and still couldn’t get everything done that I wanted to. This year, I want to find a content creation rhythm here that’s sustainable and prosperous, that fulfills me creatively — and that allows me to create without limitations again. To be honest, that’s not something I’ve been able to achieve since I started blogging. Ironically, I started this blog because I was sick of creating things for clients day in and day out and feeling like there was no magic leftover for me. And now almost 3 years in here at JustineCelina I’m feeling exactly the same way. Thankfully, I make the rules around here. I’ve learned what works, what posts do well, how often I need to post to keep my traffic and revenue streams growing, what content gets featured and what brands expect from me. But it’s also clear that I need a change — and the only way I’m going to figure out how to make this all work better for me is by exploring new avenues of content creation. So this year, I’m switching things up. How exactly? I’m not 100% sure, but I’m planning to spend 2018 allowing myself to experiment to see how I can make this whole blogging and content creation thing fit more harmoniously into my life. I’m going to get back to ‘living and working in a way that nurtures my passions’ — which was exactly my intention in starting JustineCelina in the first place. Just because I thought something was a good idea almost 3 years ago when I started this blog doesn’t mean I still think it’s a good idea — or that I necessarily need to (or should) stick to those structures and ways of doing things. 2018 is the year I set myself free of these self-imposed limitations and structures — and I’ve already started doing so. In January, I made myself and my happiness my first priority. I’m already back on the path of living and working in a way that nurtures my passions, rather than drains me creatively, emotionally and physically. I’m going to allow my life to shape this blog, and not vice versa. I’m going to spend more time creating and executing my ideas, and less time behind the computer screen perfecting and polishing them. I’m going to let go of my rigid, balanced publishing schedule and allow things to ebb and flow naturally — creating and sharing ideas as I feel inspired to, rather than when I’ve scheduled them into my editorial calendar. Maybe it means a higher frequency posting schedule and less comprehensive posts. Maybe it means dabbling in video as a new way to explore my ideas. So often I have ideas that never see the light of day because because they don’t fit into the publishing schedule I’ve set out for myself. It’s easy to see that while it worked well to grow my blog and generate traffic for the first few years, as I’ve grown, it’s no longer working for me. This year, I’m going to get content out faster, try new things and allow for more space for life to happen. I’m done with waiting for the perfect time to share content and optimizing my life for maximum engagement. Don’t get me wrong. I’m extremely proud of every single post I’ve created here at JustineCelina. I put a ton of research, thought and time into everything I do to ensure I’m always happy with my work. When I produce sponsored content, I only work with brands I truly love. Those things will never change! However, I want to get back to really enjoying the process of content creation — and a lot of that behind the scenes process you guys don’t actually see (although I do share a very small portion of that over on Insta Stories!). Right now, I’m super inspired to create certain content and not very inspired when it comes to creating other content. This year I’m going to do more of what I love and less of what I’ve become less interested in over the years — even though I know that content will do really well, statistically. So, things may look a little different around here moving forward! 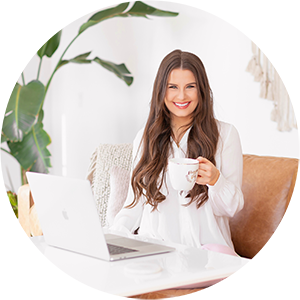 JustineCelina will always remain A Creative Lifestyle Blog — and the great thing about that is because it’s an extension of myself and my personal brand, it can grow and change with me. It evolves as I evolve. This year, you can expect changes to how often I post, the topics I cover and the mediums I explore. You can expect long standing series to retire in order for new series to emerge. You can expect lot more FASHION and HOME based content — because that’s what’s currently inspiring me. I’m also planning to share more some personal posts, more varied content and hopefully, more TRAVEL! I have a great feeling about 2018. I feel stronger and more passionate than ever. I feel like the best is yet to come. And I’m so glad to have you all here with me! And for those of you who came for the FASHION — this section is for you! This look is a mixture of old and new — from these gorgeous satin OTK boots I picked up on clearance just last month at Aldo (this exact pair is still available and still on clearance, they’re so comfortable! ), to a very well loved velvet crossbody bag I have in 2 colours (also from Aldo — you’ve seen me wear them both many times! ), to my absolute favourite, warmest, winter coat that I picked up in a killer sale at ASOS around this time last year (I’ve linked similar options for you below), to this simple slate blue dress that I think I paid less than $10 for like 8 years ago at H&M (but this one is almost identical), to another vintage estate sale find scarf to tie it all together — and this adorable red wool beret I snapped up in the basement (the sale section) of one of my favourite local boutiques, Kismet (but this one is an exact dupe)! This was actually another outfit inspired by the Pantone Spring 2018 Fashion Trend Report — and one I wouldn’t have put together without looking to that palette for inspiration. It also features a melange of my favourite cold weather textures, including faux fur, velvet , wool and satin! Thanks for stopping by to read my 300th blog post, everyone! I hope you enjoyed it — it feels great to finally get this all off my mind and fill you in on what’s next. As always, if you have a question about what I’m wearing or anything else I discussed in this post, please let me know. And feel free to leave suggestions about what you’d like to see more of here at JustineCelina this year — I’m always interested in your feedback and open to your ideas! I have tons of fresh, experimental content in the works that I can’t wait to share with you. Wishing you all a happy, healthy and prosperous 2018 — and thank you so much for being here! Justine, Can I start by saying I think you took some of what you’re saying directly from my head! There’s something so rewarding about being a creative entrepreneur, yet it’s so draining and life-sucking at times. I, too, have learned to slow down a bit. Actually, I think I wrote a similar post a couple of years ago after our major renovation when I was suffering from burnout. Shauna, thanks so much for the sweet comment and taking the time to read. I think it’s so important to be open about the struggles we face as professional creatives — it’s an amazing but challenging lifestyle and I feel it’s often glamorized — but I’ll always be here keeping it real! 😉 My slow and steady 2018 is treating me well so far. I hope your year is off to a great start as well. I’m going to pop over to your blog and see what you’ve been up to lately. Enjoy this snowy weekend! Thanks Sharon! 2018 is off to a great and I feel great about where things are headed. Wishing the same for you! Justine, this post is wonderful. You do wonderful work and that takes so much out of a person! That line about being a crappy boss resonates with me, too! I’m just trying to take my work to the next level and it’s a constant grind, with growing pains trying to figure out what works for my life, my family and how to constantly be creating new content and marketing it. It’s so much and I don’t think people quite understand how much work it must be to create 8 (incredible) posts a month! I’m excited to see how your site evolves and what makes you happy this year! Aw thanks so much for the thoughtful and touching comment, Leslie-Anne! Creative work really does take a toll on you if you let it — thankfully I feel like I’m above water now and back on course. I look forward to keeping up with your work as well!